Every trip with Ultimate Whale Watch includes expert narration by researchers currently studying the humpback whales, and they specialize in creating an intimate conversational setting, allowing you to ask questions and view the whales close-up. You can listen to whale singing with their on-board hydrophone. 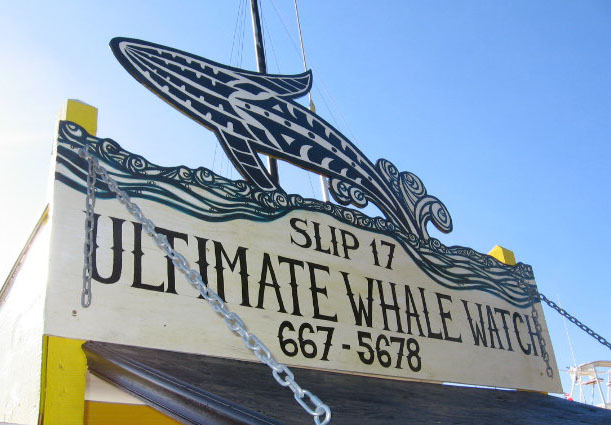 Ultimate Whale Watch specializes in positioning their boats for the best possible whale photo scenarios – their captains are trained to analyze the lighting and other environmental conditions to create the best photo opportunities! 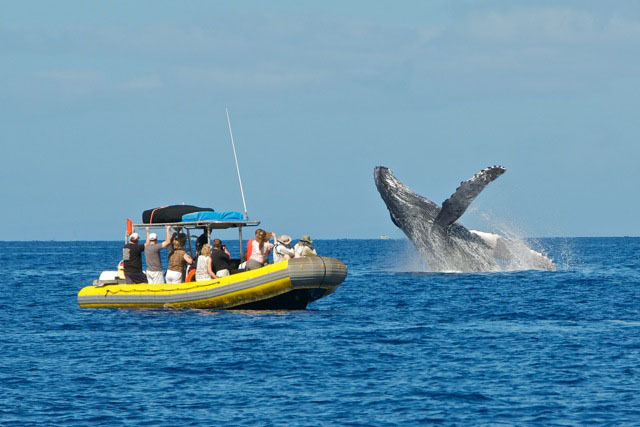 Whale sightings are guaranteed, as the crystalline offshore waters provide the best possible whale watching conditions. Most passengers are completely touched and enthralled once they experience these graceful giants of the deep blue. 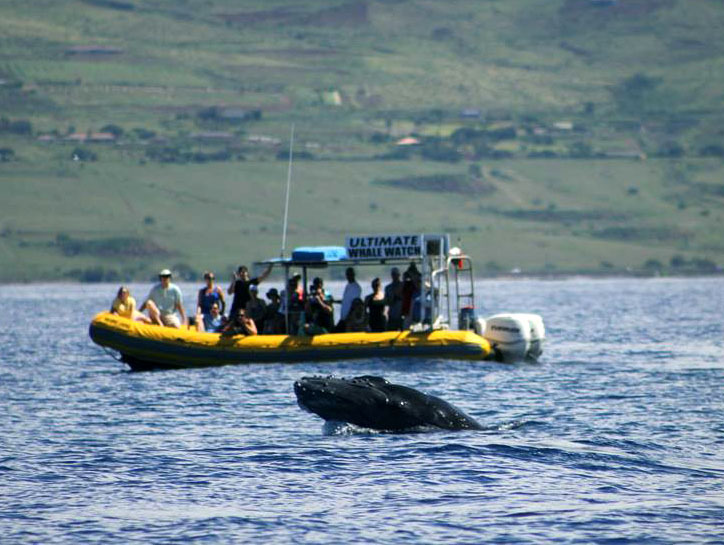 Whale watching on the “Wiki Wahine” – their 30 foot rigid hulled inflatable raft – is just about as up close and personal as you can get to these amazing creatures. The boat has a large shaded canopy, and has quiet out-board engines, ensuring both your comfort and a personalized experience. The pontoons decrease the boat from rocking, creating a more stable, comfortable ride.